The Womens Button Up Skirt from Brakeburn perfectly blends utility with style. 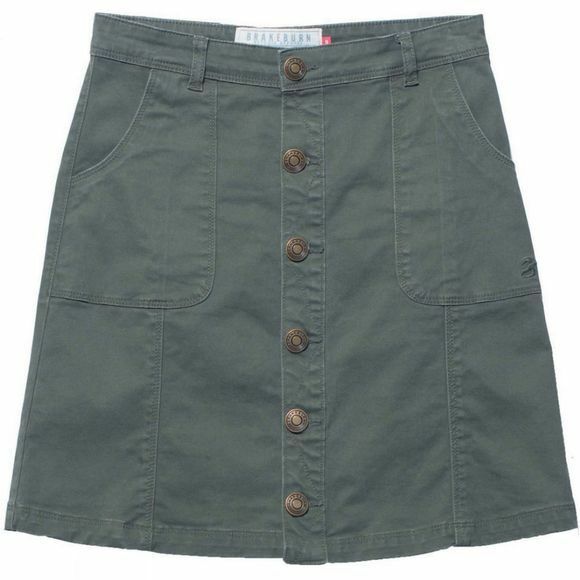 In a khaki green with branded metal buttons and large hip pockets, it also has a little added stretch for ease of movement and fit. Basically it's a winter wonder of a skirt!